Invitation book launch Antonio Bokel: View. Disclosure. In the last 15 years, the carioca Antonio Bokel tested almost all the possibilities of the art. Interacts with the urban space through the lambe-lambe of propaganda, of graffiti and graffiti. The speech of the streets, in words and images, win several other meanings by using mixed techniques. Collage and photography. Supports for him through the installation, frames, sets, sculptures. Tireless artist, your so diverse collection counts more than 3000 images. 100 of them, the most representative of your trajectory in chronological order, was selected for the book Antonio Bokel: View (Reptile Publisher, 160 pages, R$ 80, ISBN 978-85-99625-67-5). The work, with texts of Trustees Vanda Klabin, Daniela Name, Oswaldo Carvalho, Mario Gioia and plastic artist Pedro Sanchez will be released on 8 April at the Bienal Pavilion, during the international fair of modern and contemporary art SP-Arte 2017. A partnership of Reptile Publisher with Mercedes Viegas art gallery, the title courses 160 the main work of the artist pages carioca. "A gifted diplomat, an articulator, a creator of worlds ". The analysis is Pedro Sánchez, one of the five invited to observe the production of Bokel. Sánchez examines the movement Antonio Bokel of a privileged place. The two share with Marcelo Macedo the Studio and Gallery space Yard , in the Rio Comprido, The area north of the capital from Rio de Janeiro. This daily contact, allows still impress with "the ability to Bookel has to serve, to circulate to your almost compulsive production, with the independence and autonomy which supports in relation to the circuit and the canons of contemporary art ". 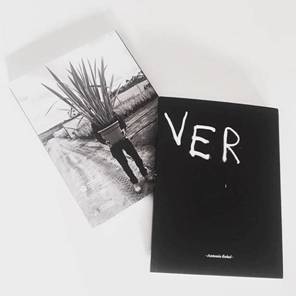 The development of the career of Antonio Bokel is accompanied from the beginning, While still attending graphic design school of Univercidade. Before even completing graduation, in 2004, He has presented new ways of interaction with the urban space, When using propaganda and graffiti in your work. "What seems ordinary becomes plastic research object and brings a new experience to your artistic practice", Vanda Klabin points in the opening text: Antonio Bokel – some considerations. Book Antonio Bokel: View. Disclosure. The artist made the first solo exhibition in Ken ´ 's Gallery, in Florence (Italy). "Was in town to research and study. He attended the gallery by curiosity. One day, by chance, I was asked to show my production ", recalls Antonio Bokel. In 2016, He returned to exhibit in Europe, integrating the team of ten artists chosen worldwide to compose the exhibition Point of View, the Pena Palace, in Sintra (Portugal). The space, that can be compared to the Inhotim, presents outdoor works, proposes a link between art and nature. Cure, name of your work, bring tree trunks forming a perfect triangle, that points to the Pena Palace. Each trunk take bronze sculptures in the shape of hands who saw tree branches, remembering ancient Fables. These branches point to the center of the triangle. Between the trunks a grass floor helps strengthen the perfect geometry of the triangle. In the Center a small bank to the viewer meditate and feel the points of views of this altar. 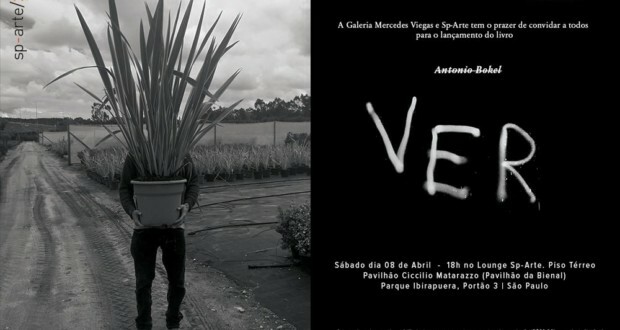 Biennial of Gaia and other projects in 2017 -In addition to the release of your book, Antonio Bokel participates in the SP-Art exhibiting paintings made in 2017 the Mercedes Viegas space Gallery, of Rio de Janeiro. "In AM Gallery, from Belo Horizonte, the public can view the sculpture Karma ", anticipates Bokel. In July, He returns to Portugal to attend the 2nd International Biennial of art of Gaia, in the region of Porto. The newly-opened Aura Gallery, in Vila Madalena, in São Paulo, will do a solo exhibition by Antonio Bokel between August and September 2017. What: Antonio Bokel-Book View (Reptile Publisher). 160 pages. R$ 80. When: 08 April 2017, at 18h. Where: Sp-arte lounge at Ciccilo Matarazzo (The Bienal Pavilion). Ibirapuera Park-Gate 3. Antonio Bokel was born in Rio de Janeiro, in 14 April 1978. The contact with the art began well before the Design course in University, where he majored in 2004. "One of the prefridos of childhood pastimes was painting with gouache. I and an aunt, Vera Lucia, self-taught painter, We spent hours painting ", recalls Antonio. The two produced a vast work naïf. "She suggested themes of the place where he was born, in the countryside the river. I brought references of an urban boy ". In this collection, kept to this day in the family's apartment, in Copacabana, There are engravings of birds, of plants. "And other choices from a urban boy, accepting suggestions, but also painted hambúgueres and ketchup bottles ", Remember Bokel. The many postcards sent by mom, a professional traveler, also served as a basis for the production for the frames. One of his projects is to turn selves on display the works of this phase and the legacy of Vera Lucia. At the Faculty of Graphic Design, Bokel took photography classes, model course alive with flag of Mello, João Magalhães painting, in the Park Slab, Rio de Janeiro. In 2003, did your first solo exhibition in Ken ´ 's Gallery, in the Via Lambertesca, in Florence (Italy). "Where I spent almost a year, doing research and testing various languages ". Upon returning to the river, He founded the fashion label Soul Seventy with stylist Amanda Mujica. The pieces were sold on the beach, at the station 9, and they soon stop at Rio fashion week, the Fashion Rio. In 2008 He participated in the summer exhibition at the Gallery Silvia Chauhan + Box 4, in the same year and in the following years participated in the SP arte, represented by the same, reaching great success in sales 2009. In 2010, held exhibitions crosses and Creeds, in Jaime Vilaseca Doors Gallery, Rio de Janeiro, and AAAAA On Thing But Truth, in the Sid Lee Collective Gallery, in Amsterdam, Holland. In 2011, participated in the first exhibition ARTHUR – United Artists in Residence, in Lagos, Portugal. In the same year, also held two solo exhibitions: Corpus Cordex, at the Cultural Center of Solar Botafogo, Rio de Janeiro, and Graffiti Error, on FB Gallery, New York. In 2012, participates in the exhibition Urban Grammar,in the Centro de Arte Hélio Oiticica, Rio de Janeiro. In the same year made your individual, Transfiguration of the Trail, in the same Museum. 2013 participated in the exhibition and artist residency Movements parallels in Dominican Republic. 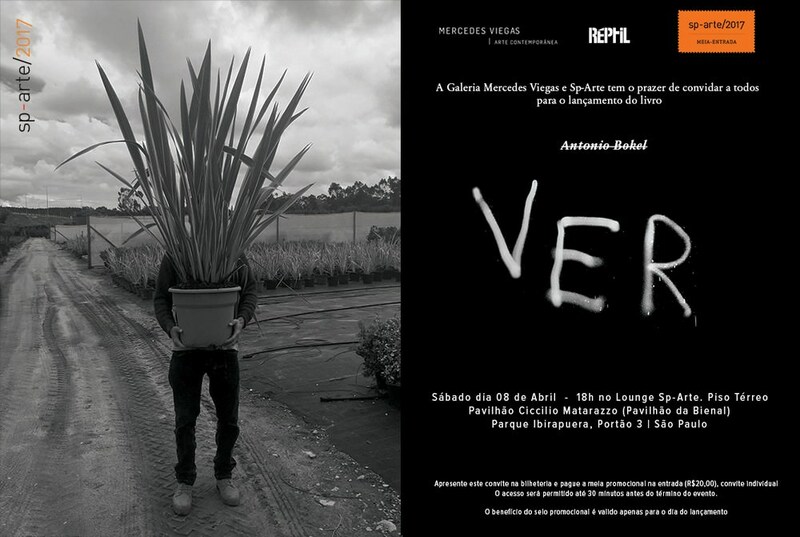 In 2014 more a one-man show at the periphery of the World curated by Vanda Klabin , where he held 5 rooms of the Federal Justice Cultural Center, in Rio de Janeiro. Were in total 35 works between paintings , photographs , sculptures and video. His work has been published in Brazilian magazine Zupi, VIZO and Santa, and in Spanish Rojo. His works are in major Brazilian collections , like Gilberto Chateaubriand and BGA Investments. Bokel has some work in the collection of MAM, Museu de Arte Moderna do Rio de Janeiro, and the museu de arte do Rio. In 2015 He was one of the KITE Award nominees. In 2016 participates in the collective exhibition Point of View / site specific, in the gardens of the Palace of Pena, in Sintra, Portugal. It is currently represented by Gallery Mercedes Viegas , in Rio de Janeiro, Matias Brotas Gallery in Victoria and AM Gallery in Belo Horizonte.